Washington Mutual's (WM) announcement this week that it has no plans to raise additional capital sent the stock up temporarily, but as soon as investors did some simple math on the numbers, it came down to a more realistic, albeit still inflated, number. Wamu boosted its loss reserve to $8.46bn and expects to suffer losses "toward the upper end of the range it disclosed in April" of $12-19bn. If we add Wamu's current excess capital of $7bn to its loss reserve, we find that Wamu is at risk of running short of capital to pay for the upper end of its own loss forecast. "Approximately one third of the second quarter provision for loan losses related to significant changes in key assumptions the company used to estimate incurred losses in its loan portfolio in response to the increasingly adverse credit trends. Specifically, the company shortened the historical time period used to evaluate default frequencies for its prime mortgage portfolio from a three-year period to a one-year period to reflect the evolving risk profile of the loan portfolio and adjusted its severity assumptions for all single family mortgages to reflect the continuing decline in home prices." In plain English: Wamu now projects future defaults based on the 2007 experience and no longer uses data from the low-default years of 2005 and 2006. We won't ask why they haven't thought of that earlier. To add insult to injury, both rating agencies have Wamu on watch for a possible downgrade to junk status. As a result, Wamu's CDS spreads reportedly trade at 500bp, in addition to a 1,750% upfront haircut, compared to a net interest margin of 3.22%. Fortunately, Wamu funds itself mainly through deposits, so that there is little immediate risk from the deterioration of its spread. At least as long as its depositors remain faithful. But for a horizon of several months, such funding levels are clearly unsustainable. Moreover, raising additional equity capital will be prohibitively expensive. When Wamu raised $7bn at $8.75 per share from a group of private equity funds including Texas Pacific Group, it agreed to reimburse these investors for the dilution if it were to raise more capital later at a lower valuation. If Wamu were to raise capital today, it could do so at best at $3/share, most likely even less. 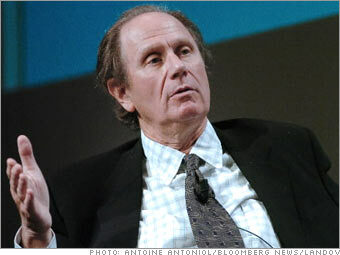 This means that on top of its actual capital needs, it would need to raise a further $4.5bn just to reimburse David Bonderman & Co. Who would want to participate in a $9bn equity offering if you know that half of the funds raised will go to a private equity fund that made an ill-timed investment? The only way to rescue Wamu is if TPG is willing to give up some of its anti-dilution claim. TPG might come to the rescue, but we doubt that it will throw good money after bad. Bonderman will play hardball to minimize its losses, but in the end, Wamu's management can play the restructuring card. Of course, there's always the possibility that Bernanke will throw free money at Wamu. If he does, we doubt he will do so with a partial bail out of shareholders like at Bear Stearns. Wamu is less pivotal to the financial system, and there is no pressure to get a deal done overnight. It's safe to assume that Bernanke would use Wamu's shareholders as an example that not everyone will get bailed out at any cost. Wamu has maneuvered itself into a corner with the TPG financing. The most likely outcome is that Wamu will go through an out-of-court restructuring under federal oversight that brings together TPG, regulators and some creditors. No matter how it will be structured, it will be so dilutive to current equity holders that they will be virtually wiped out. Thomas Kirchner manages the Pennsylvania Avenue Event-Driven Fund (PAEDX), which is long and short various elements of Wamu's capital structure.